15 of the Best FREE Budgeting Apps for 2017 | Take Control Today! Apps can help us save all kinds of cash! If you are looking for some new money saving apps that won’t cost you a dime, you are in luck. Take a look below at the top 15 free budgeting apps that can not only save you time but money as well. These are apps you won’t want to miss out on! RELATED: Take my FREE 7 Day Challenge to get your Finances in Shape! If you want the Cadillac of all budgeting apps, Mint is it! Use the graphs on Mint to get a clear picture of your financial health and see how you can make improvements. You can also import your Information from Mint into a spreadsheet program like Tiller which is great for keeping greater detail of your budget expenses. This app is an Expense Tracker that allows you to add your income and list out your expenses so you know how much money you have at any given time. There is also a bar that tells you how long until your next pay day which is nice if you’re running a tight budget between pay periods. This app allows you to set up a budget and specify items you wish to save for. If you’re looking for something to help you keep from overspending and plan for larger expenses this is a great app. Also, you can view expenses by category which is nice if you need to be able to see where your money went. This app is all about investing! If this is one of your goals this year then you may want to go ahead and check this one out. Acorn will invest spare change from every day purchases. You just round up your purchases and the money is transferred into your stock account and managed by financial advisers! Track your Spending and see where your money is going. Add any credit or Debit Card to Passbook for quick access to your balances and latest charges. You can also verify charges using this app! Bill Guard gets smarter the more you use it. Each time you swipe to verify a charge or flag the program learns more about you and improves for the future. This app allows you to get Personal Reminders when bills are due! You can also use this app for Financial Planning to make a plan and project your future savings. There is no registration of Bank Account data with this app which is a plus for some people. This app is really amazing! It’s completely free and it allows you to save receipts, export your data, and backup your data. You can get notifications when you reach a savings goal, or you have an upcoming payment so you never miss a think. It also allows you to set financial goals and budgets so that you can easily stick to them. Formerly the Easy Envelope Budget Aid, this app allows you to set virtual “Budgets” Then track your expenses and assign any expense to the appropriate budget category. You can also sync and share a budget with multiple people which is great for couples using one bank account. With the ibotta app, it will feel like you are being paid to shop. Earn cash back on your purchases as well as kick backs for watching ads. Forget carrying around all of those loyalty cards! With Key Ring you can keep them all in one place and get the savings you have coming to you! If you are an Apple User you can also use your Apple Wallet to do the same thing. I have my Cartwheel, Starbucks card, CVS Card and more all saved to my Apple Wallet so I never forget a gift card or rewards card! Use EveryDollar to take your “Envelope” Stystem digital. With this app you can set up budget categories, add in expenses as you spend money and deduct each purchase from a category so you always know exactly how much you have spent out of each area. There’s an online and mobile version of this app so you can even sync it on the go! When you use the Shop Kick app, you earn points just for stepping into your favorite stores! The points can then be used for future savings and rewards. It is like being paid to go to the stores you already frequent. Use Digit to start saving money for retirement now! Digit helps you take an honest look at your finances and develop a savings plan that works for you. Waze is similar to Gas Buddy, as it will save you gas by helping you find quick routes around town. Not only will that save you gas, but money as well! You Need a Budget is FREE or the first 34 days! This system allows you to connect all of your bank accounts in one place, then track your budget on the go with their easy to use App. You can also track progress towards goals and start working to pay down debt. This is a great all inclusive system for budgeting! See how beneficial these money saving apps can be? Give these apps a try and see how much you can save! Take the FREE 7-Day Financial Brilliance eCourse! What would you do with an extra $1000??? Our Brand New Financial Brilliance eCourse walks you through 7 steps to get your finances in shape! From how to build up your emergency fund, to setting goals and getting your budget organized this course is perfect for those who are ready to take control of their finances again! You can Sign Up for the FREE 7-Day Financial Brilliance eCourse Here! Thanks for sharing this. I use Mvelopes, which is great. Some of the apps on your list really aren’t about budgeting, but still helpful in saving! 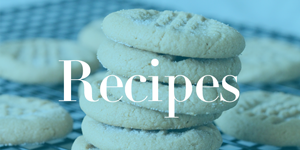 Easy Spritz Butter Cookies Recipe!